There’s front seat and back seat. And they mean different things in different aircraft. In the Pitts S-2 models, the front seat is pretty bare-bones. You have a stick, a throttle handle, and a prop control. On the panel is an altimeter, an airspeed indicator, a manifold pressure gage, a tachometer, and a G meter. And nothing else. Not even a whiskey compass. And you can’t see much of anything, either. The front seat is up close to the upper and lower wings. You can see forward over the nose through the cobains (the struts that mount the upper wing to the fuselage, not the dead rock star). You can see a little bit around the wings. You can see from side to side when a wing isn’t blocking your view. And the sight gage is about 20 degrees behind you instead of directly at your nine-o’clock. 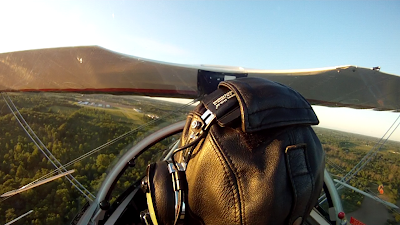 But here, in the front seat, is where you begin to fly the Pitts. 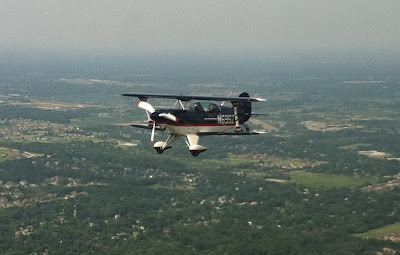 This is where you learn the rudiments of flying this powerful acro monster. The back seat is better in all but a few respects. You can see much better because you’re further away from the wings. The sight gage is directly to your left. It’s really striking after you’ve been in the front. But, with the back seat comes a lot more workload, You start and shut down the airplane (and hot-starting a Pitts is MUCH more art than science). The mixture and trim controls are back there. You have to watch the temperatures and pressures. You have to tune the radios and watch the GPS. It makes sense to start out in the front. For one thing, as long as you have a talented and trusty IP in the back, you can pretty much just climb in and go, thus making lessons a lot more efficient. You learn to be very technical and precise with your airspeed and other elements of landings because you don’t have a lot of outside stimulus to tempt you to just wing it. And, if you’re not very precise with your feet just yet, you have a very short arm from the center of yaw and you aren’t going to make yourself sick on the early flights by failing to be coordinated (although your instructor will likely suffer kidney damage if you’re really wild). 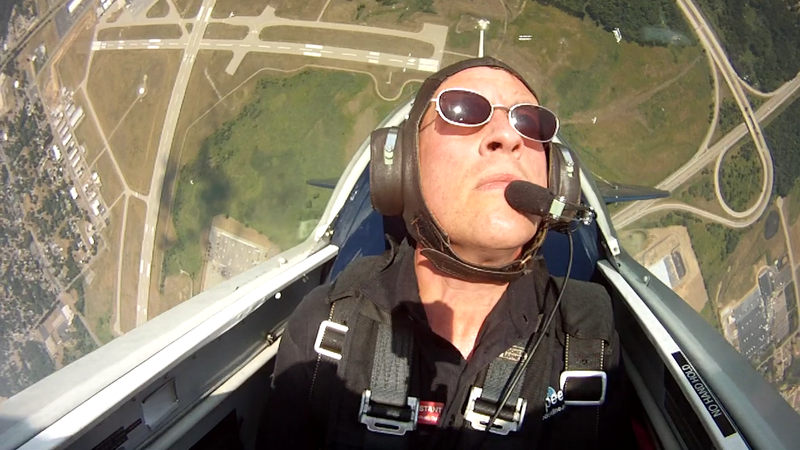 You have to get pretty good at landing the Pitts from the first seat before you move to the back. 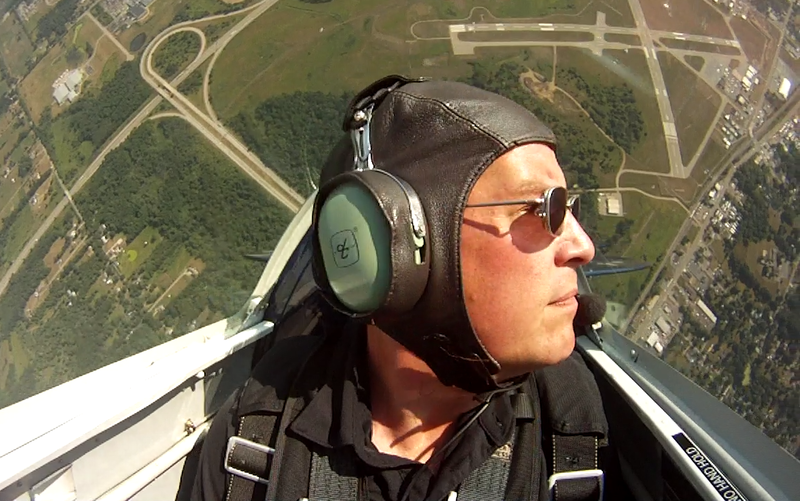 Landing a Pitts from the front is one of the hardest things I’ve ever done. You line up on the runway and set airspeed for precisely 95 KIAS. At about 50 AGL, you make one last check for deer on the runway and begin the flare. You lose all visibility in front of you. You just wait for the runway edges to sneak into your peripheral vision and then hope that you sink in a landing attitude until meeting the runway a little above stall speed. If you don’t see both runway edges after a few seconds, it’s time to go around. It’s not hard to land left or right and I can easily imagine taking out an entire row of runway identifier lights. If you get it down, then it’s full back on the stick to keep the tail down and you tap dance down the centerline while sneaking your feet up onto the brakes to think about slowing it down. This is what you need to do reliably before you move to the back seat. Once you get to move to the back seat, you have a new learning curve to deal with, but that happens fairly quickly. 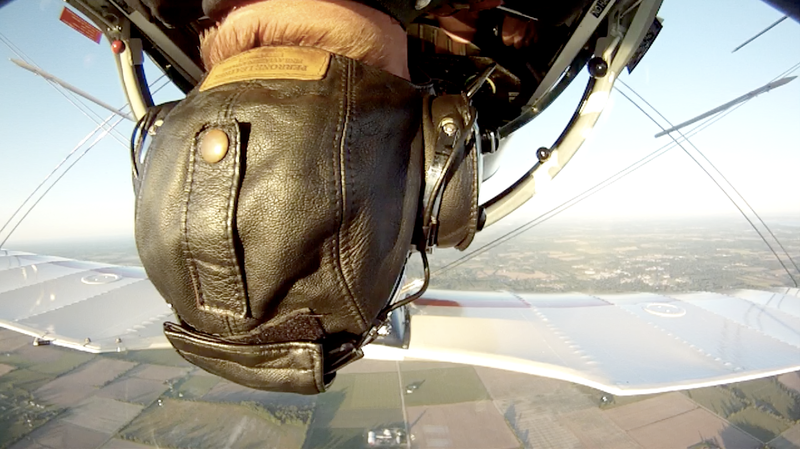 And then you can get on with the business of flying acro with better visibility and situational awareness. There are any number of reasons for starting out in the front seat, but I buy the one that has to do with the instructor. 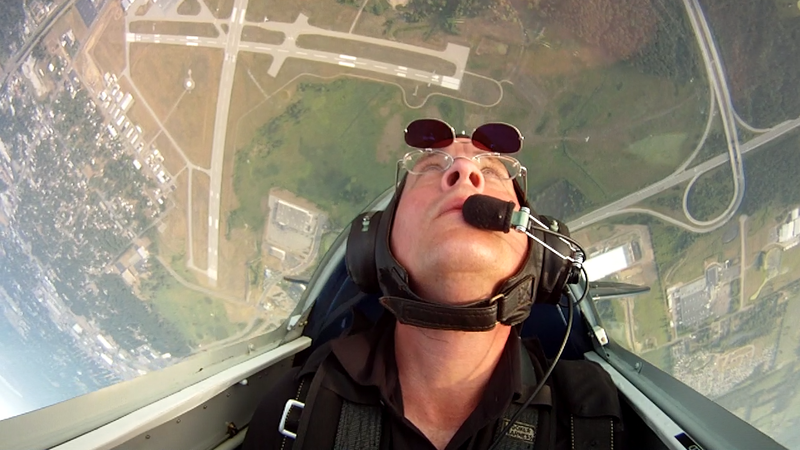 Landing a Pitts from the front seat is very hard. But I would imagine that recovering somebody else’s bad landing (or other botched maneuver) is even harder in the front seat. Thus, when you go to the back seat, your IP is necessarily moving to the front seat. It would be a really good idea if you had made most or all of your major screw-ups in the front seat (while the IP can have an easier time recovering from the back) before moving to the back seat and putting your IP up front where things are not only harder, but where your IP isn’t likely to be called upon urgently until you’ve already served him or her a crap sandwich from which you’ll be expecting him or her to help you escape. 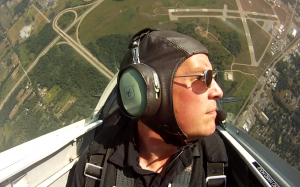 The shots in this post were taken during my last practice session at Ray before going to Jackson for the IAC Michigan Aerobatic Open. I’ve since done the first flight of my back seat transition and I’ll get some stills and video of the transition flights soon. 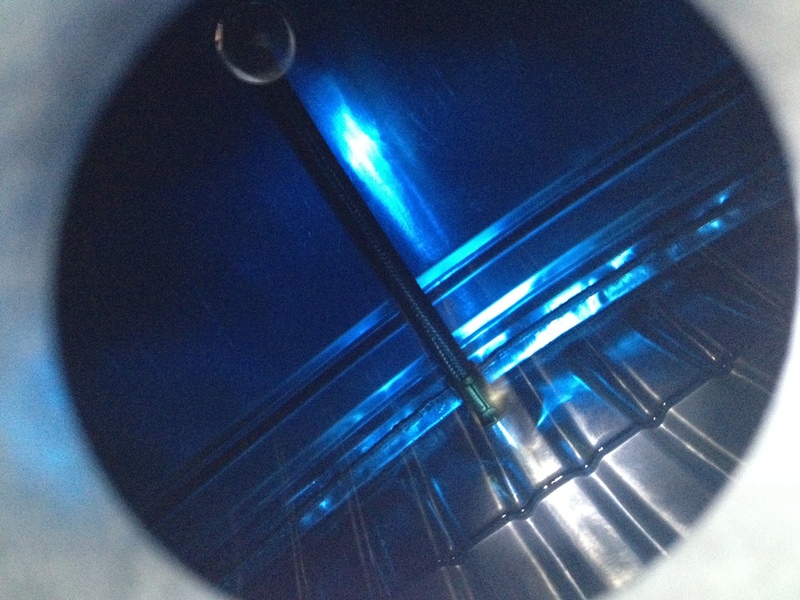 In the meantime, the Pitts just gets cooler. I can feel a genuine addition coming on! The IAC Michigan Aerobatic Open has wrapped up and I left the field this afternoon with the second place plaque for the Primary category. I started today in second place, where I’ve been since the first flight. On the second flight, first and third places swapped places and the lead widened to about 15 points (not much). So first place was within striking distance. 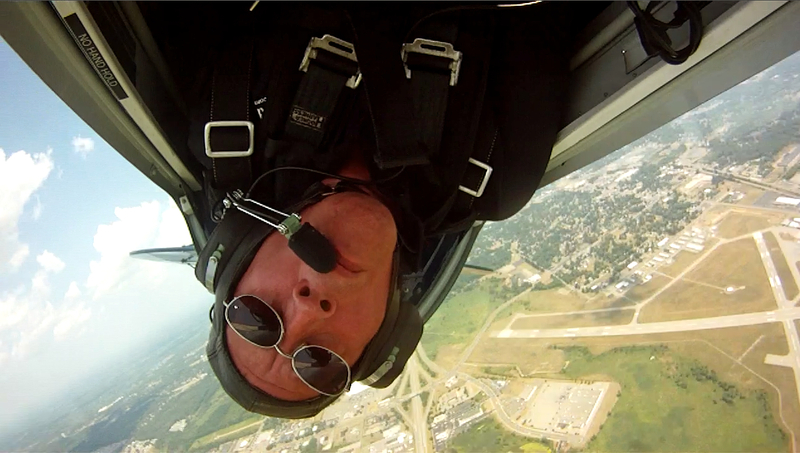 I walked the ramp mumbling to myself and doing the acro dance for which aerobatic pilots are sometimes known. I set up the cockpit just the way I wanted it (kidney-relocating tight). Then I flew the last sortie and left everything I had in the box. 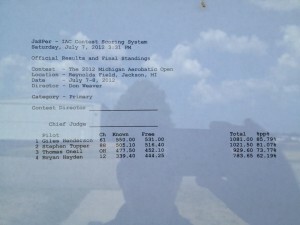 I scored about as well as I had in the prior flights (and so did the other competitors) and thus ended up second. 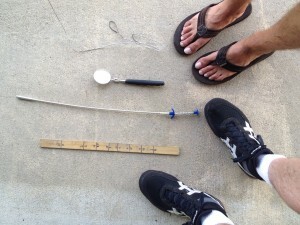 But I had much better situational awareness and my peripheral comprehension was a load better. I didn’t do anything that would impress Mike Goulian, but I broke out of a plateau and began to better understand what I was doing up there. 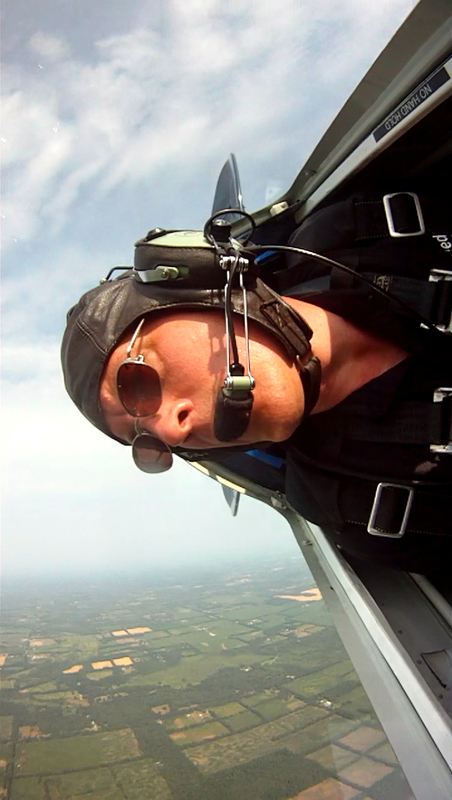 There’s something about an epiphany that comes to you when you’re inverted on a 45-degree downline, timing the roll and pullout. Actually understanding what you’re seeing over the nose and reacting to it in a businesslike and competent manner. Not as precisely as I’d like to, mind you. But, hanging in the straps a couple of thousand feet above the judges, I realized that this is a doable thing. I could get good at this. It is within my ability. It’s not impossible. It’s a simple matter of hard work. When a thing that previously existed only in a dreamstate as some abstract thing suddenly becomes sharply possible with only hard work between here and there, it’s an exceedingly rare and special thing. I got that this weekend. I made a deal with myself not long ago. By going to Jackson and ramming the throttle forward in anger, I made good on that deal. Three flights. 18 minutes each from startup to shutdown. I flew aerobatics in anger. I’m not Greg Koontz or Brett Hunter. I never will be. But now, when I stand there along the show line, I feel as though I have more right to be there. Because I took the next step beyond mere fanboy. Because I reached over the fence and tasted some small part of what happens in the box. And I’ll keep reaching in there for the electric stuff that happens there. I made a deal with myself. This weekend, I made good on that deal. And it feels good. 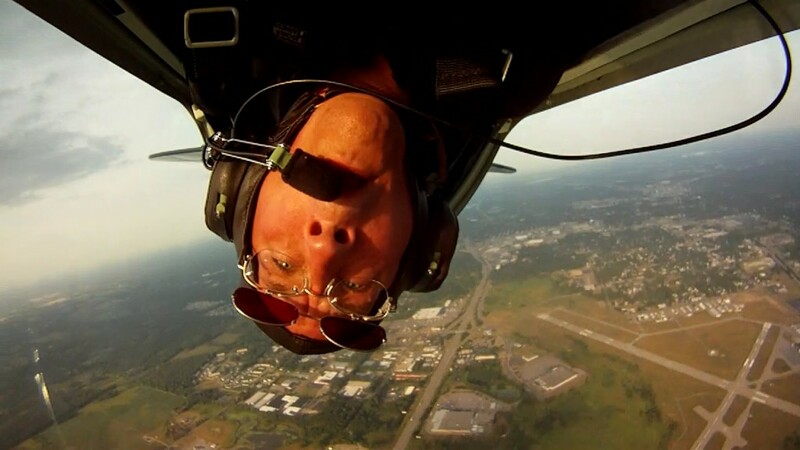 I have now flown aerobatics in anger. I have sucked, mind you. In fact, I have sucked mightily. But I have flown acro in (or near) a box with judges looking up and giving scores. 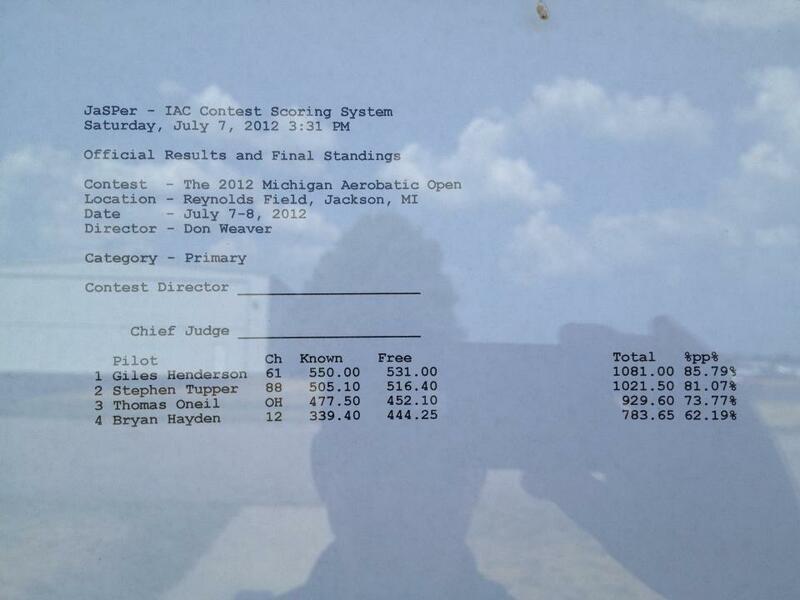 For those just joining the story in progress, I’m flying in the Primary (easiest) category at the IAC Michigan Aerobatic open at Jackson County Reynolds Field (KJXN). 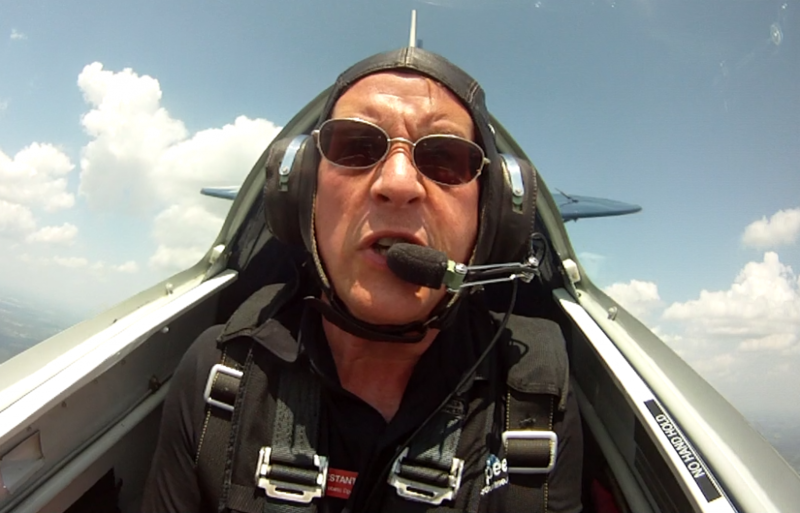 I’m flying a Pitts S-2B with Don Weaver in the trunk as safety pilot. Don is as talkative and helpful as ever through takeoff, climb, and orbit until I wave into the box. Then he falls silent and says and does nothing until I finish and wave back out (or make a genuine attempt to kill us or ask for his help). Three competitors are flying primary here at Jackson. After two of the three times flying the Primary sequence, I’m in second place and only 15 points out of the lead. First place is within reach and I’m going to make a real run at it tomorrow. I have scored very consistently the first two flights. Within a few hundredths of a percent the same. I have screwed up slightly different things each time. I felt a lot better about the second flight. And I have a pretty good idea of what I need to do on the third one. The thing that is getting to me is the second maneuver. The spin. I haven’t gotten good entries into the spin on either of the two competition flights thus far. And that affects my setup for the remaining maneuvers. If I can nail the spin, that might be enough to pull this out. In any case, it’s late. I need to hit the sack so I can fly my best tomorrow. More when I get back to the keyboard.